Excitement is building in this household. Only 32 days until our baby's first Christmas. I still have shopping to do and I am constantly on the lookout for ideas. if you are too, then you may gleam some inspiration from this post. I saw this gorgeous cake stand in a cupcake shop in St Andrews last weekend and instantly coveted it. Isn't it fab and it's a good price too at £9.50. "Truly Scrumptious cake stand for cupcakes and sandwiches. It's darling! Take tea with your girlfriends and indulge in a truly scrumptious array of fabulous florals, sherbet colours and vintage chic. Just perfect to pop your cucumber sandwiches and prettiest fairy cakes. 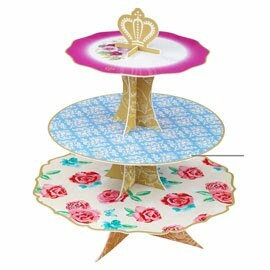 1 disposable, pretty, card cake stand with 3 pretty tiers. Just perfect for scrumptious cakes. Comes flat pack." I just love monkeys and sock monkeys are always extra special. These cute little chaps come in at £11 each. "A great gift for any age, who would not love one of these gorgeous creatures.. 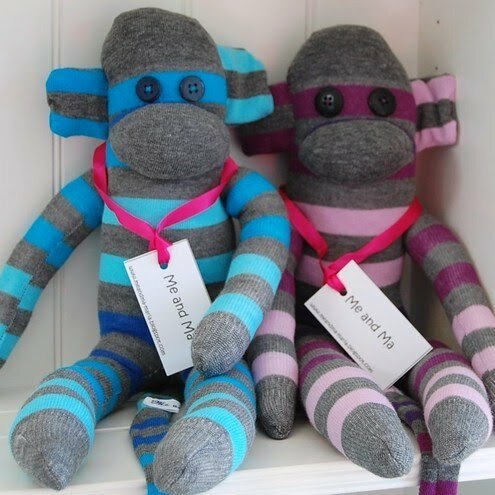 The monkeys can be made with felt eyes rather than buttons for children under 3 years. Stuffing is of BS for toys"
I fell in love with these upcycled hats for children as soon as I saw them (they will make them for adults at an additional cost, hmmmm, tempting :) ). They are so cozy and so individual. A truly unique present. I loved them so much, I bought one for Cooper's Christmas. Don't tell him! *shhhh! * They are $25 USD, (which is approximately £16.13) but they do ship to the UK and there is still time to order. 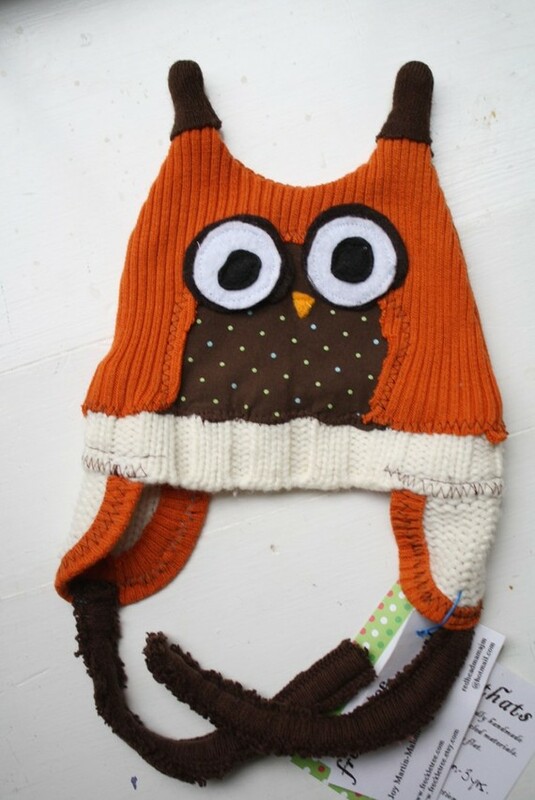 "Custom upcycled owl HOOT HAT in Orange, Brown and Cream. Freckletree presents a line of hats that are so hip, so stinkin cute, so original . . . introducing hOOtHats, upcycled winter hats that are created from patching sweaters, blankets and scarves into toasty little owls that will warm your wee one all season long." Next up, some cookbooks. We all love cookbooks and they are such great presents. Why not support one of our fabulous blogger friends and choose one of their books. You know they will be far superior to most other cookbooks. First up we have A Slice of Cherry Pie from our good friend Julia over at A Slice of Cherry Pie. 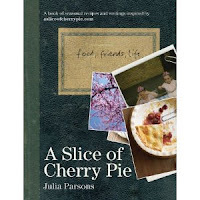 This sumptuous book is full of the finest rustic food and sprinkled with family snapshots. It is available from Amazon UK for £11.99 and Amazon US for $16.47. The next book is a great choice if you are buying for the mum and dad of a small child. 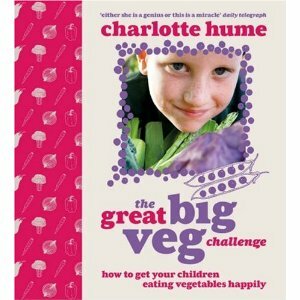 It is The Great Big Veg Challenge by Charlotte Hume over at The Great Big Vegetable Challenge. Charlotte started her blog to encourage her son Freddie, a vegetable-hater to eat his veg. 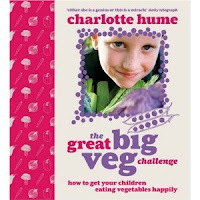 Charlotte travelled through the alphabet of Vegetables and came up with a plethora of recipes with help from bloggers across the world. I can personally recommend this book as I have a much loved copy sitting on my bookcase. It is available from Amazon UK for £11.04 and Amazon US for $15.45. 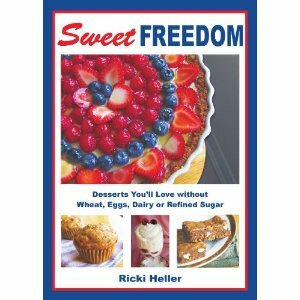 My last choice is Sweet Freedom by Ricki over at Diet, Dessert & Dogs. If you have ever been over to Ricki's blog you will know her desserts are amazing. In her baking Ricki uses whole, natural, unprocessed ingredients that are free of wheat, eggs, dairy or refined sugars, but are still the most lush creations you will ever try. Sweet Freedom is available from Amazon US for $27.95. My last pick today are the most beautiful coasters from Anthropologie. I now realise I am suggesting all the things I would like as gifts. Oh well! Hopefully you all have the same taste as me. The coasters come in at £16, but I think they are worth it. Just gorgeous! Onion domes, ikat snippets and folkloric flora make you feel like you're sightseeing at your own coffee table. Well, that's it for today. Hope that was food for thought. How exciting for you and your family. A first christmas with a new addition. Can't wait either. Oh you must so be looking forward to your baby's first Christmas! So sweet! Love those sock monkeys! what a great selection of ideas. I love sock monkeys and found a tutorial once for making one (which I haven't yet). What child wouldn't love it - but could I actually part with it? Even the littl;e sock monkets would be welcome in my stocking. There must be so mich excitement for Connor's first Christmas. I remember the days. I bought a similar cake stand early this year when I was in Perth. I think its Kath Kidston. Still to come out of the packaging for the right occasion. PS Love the kiddie hat, you should treat yourself to an adult version. Have to get that hat for my mom. Love the monkeys. Nice ideas. 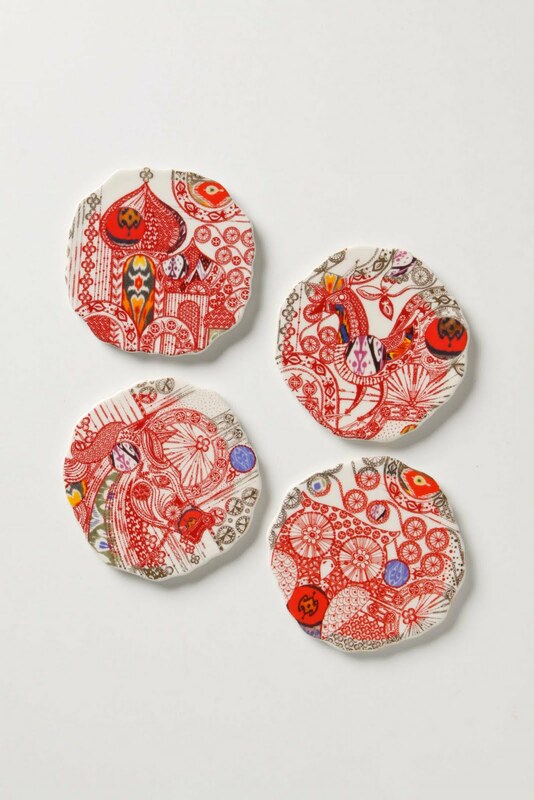 Don't you adore Anthropologie?? brilliant ideas and yes, i agree-- you should buy a hat for yourself!